On the way up north last weekend, we stopped at a Cracker Barrel restaurant for lunch. I love to go there, not only for the comfort food, but for the store. We always check out all the old-time candy, and usually pick up something. This time, we picked up a package of moon pies. These have been around since 1917. I had fun reading the history of the moon pie on the company's website. The story is that a bakery salesman visited some coal miners who were looking for something "solid and filling" because they often didn't get time to break for lunch. When asked how big it should be, a miner held up his hands to frame the moon, and said, "about that big." Well, it's a good thing they're only as big as they are. Two graham crackers, covered in marshmallow, covered in chocolate. But soft, not crunchy. Yummy. Two hundred and twenty calories. Not too bad for a dessert. And look at the recipe options . . . Unfortunately, I noticed these are made with high fructose corn syrup. My youngest son, who is an economics major, explained to me why corn syrup is so ubiquitous in our food supply. Our government has put high tariffs on sugar coming into the U.S. And although we do get sugar from beets grown here in the U.S., we don't grow sugar cane (except in Hawaii). However, we do grow lots and lots of corn, and the government subsidizes farmers for growing corn. So corn products, including corn syrup, are much cheaper for manufacturers to use. This is why all our pop (soda) is sweetened with corn syrup. Soda made outside the U.S. is made using real sugar. Every once in a while, I buy my son a single glass bottle of Coke imported from Mexico, made with 100% sugar. He says it tastes lots better. Speaking of soda, a moon pie ("the biggest snack on the rack") and a 10-ounce RC Cola could each be bought for a nickel during the Depression. I had coffee with my moon pie. 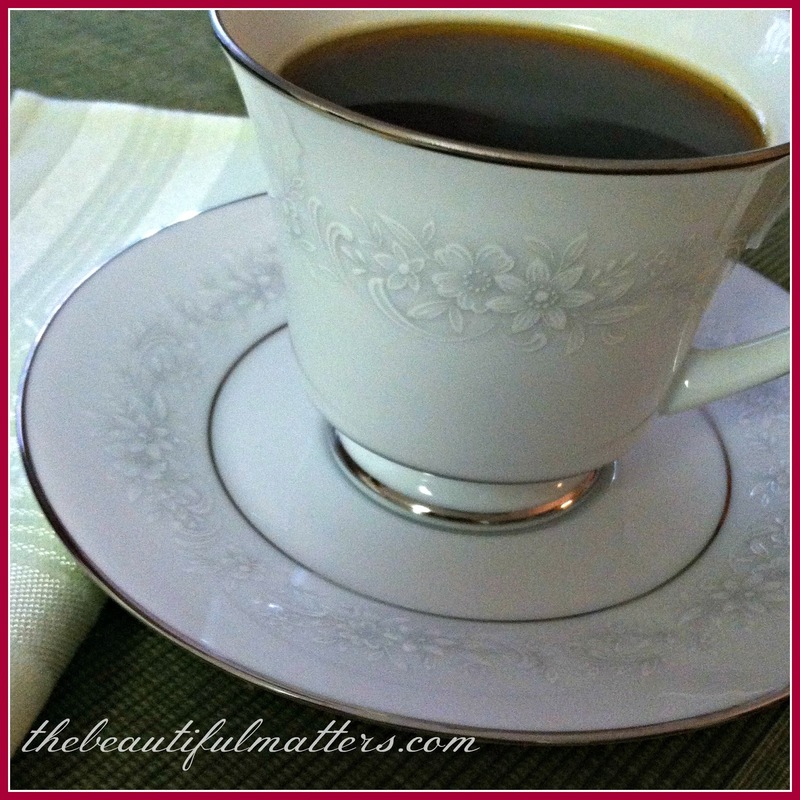 This coffee cup is part of my wedding china, Cumberland by Noritake. For years, I wished we had gotten something with some color, some pink flowers with green or blue or lavender. But Mr. Beautiful convinced me these would always go with everything. I actually think this might be one reason why I started collecting vintage china. The white on white was so . . . boring. I have to say I do appreciate them more as the years have gone by. They are classic. I got these vintage napkins up north. It's hard to tell, but they are a lovely pale green. I don't ever remember having a moon pie when I was growing up. I wonder if it was more of a southern thing. I have fond memories of Neccos and Chuckles. Oh, and Smarties, although you can still easily get those. Do you have a favorite old-fashioned candy or packaged treat? We had a moon pie recently. I don't need another any time soon. I found the economics lesson very interesting. Would love to get back to sugar rather than corn syrup. Your dishes are very elegant and classic. We enjoy Cracker Barrel too. I grew up in GA and my husband in MI. We often compare childhood memories. 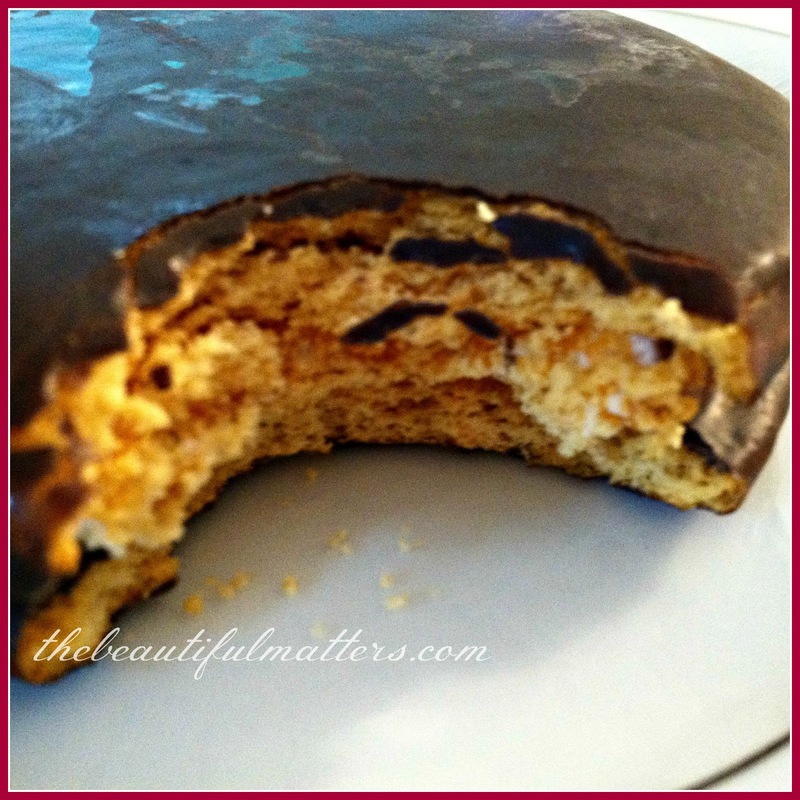 I think moon pies were definitely a southern thing! My favorite was banana moon pies and they are especially good if you microwave them for about 5 seconds! I adore your china pattern. 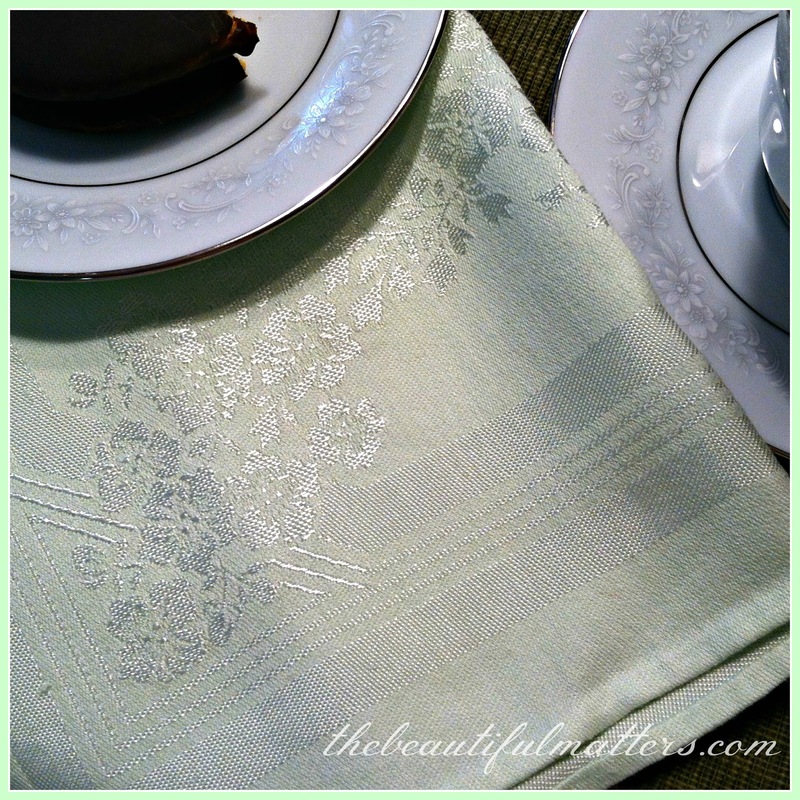 The pale green napkins are sweet, too. When I visit America I love to go to the Cracker Barrel for all the old vintage displays on the walls, I to am a fan of the shop. I always enjoy your researching and sharing information. So fun to get a little background info. In Kentucky, we grew up with Moon Pies. They weren't my favorite snack, but reading this post kind of made me want one. When we used to travel with our kids, I would usually suggest stopping for a meal at Cracker Barrel. My now-grown sons still tease that I just liked it for the store (a little true). Yes, I love Mary Jane's the old fashioned peanut butter in the middle of taffy. Yummilicious. Cracker Barrel is a fun place to eat at and visit. My friend just bought a cookbook with all Vanilla Recipes that are out of this world. Have a great week. Never had a moon pie... not sure if we get it up here in Canada. I've never seen it. I like your china... elegant! It feels familiar and I want to think that my sister had a few pieces of it when she was getting married. She never finished the set. I too have never had a moon pie but it sure looks good and I bet was delicious with the coffee. Have a wonderful week. What a fun post! Moon pie ... wow! I haven't had one in decades?!!!!?! It sure looks good with coffee or tea. Love your Noritake China .. the design is very elegant. The napkins are great. Happy Tea Day! Interesting info about the moon pie. 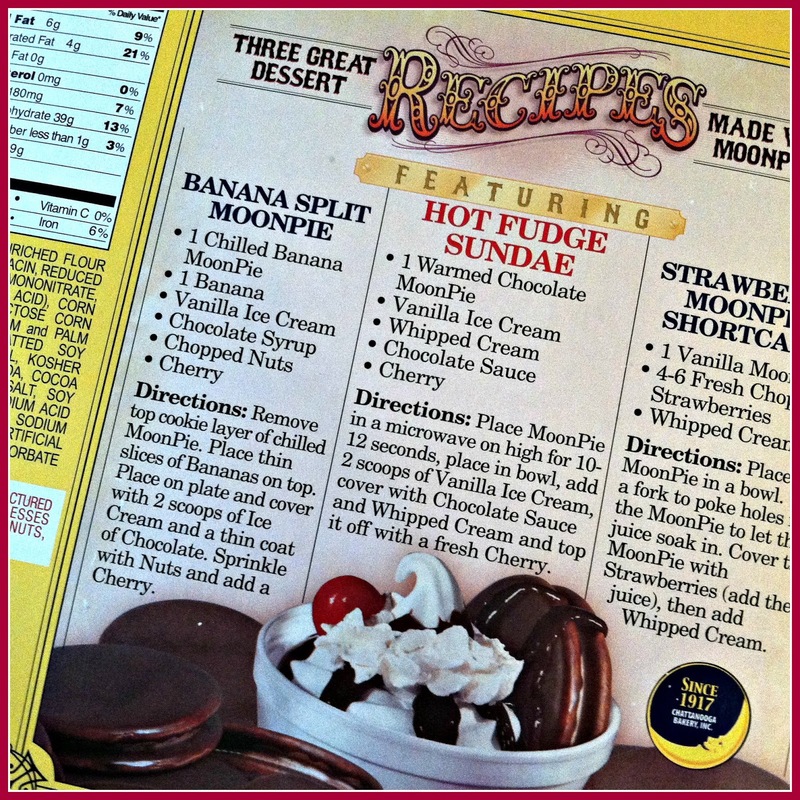 I have never had a moon pie but the recipe for hot fudge sundae sure sounds good. My favourite candy of all time is home made brown sugar fudge and no one could ever make it like my mother. I do enjoy maple cream too and oh, yes, how could I forget; black licorice! Licorice pipes and cigars; yummy! I ate bags of it when I was expecting my babies. Your Noritake china really is lovely. The white on white is always elegant. Thank you for joining me for tea and have a delightful week. I've never seen moon pies for sale here - only Joe & Louis which is similar? Your china is classic and would suit any occasion with colours to add to it. Hello. I just remember we thought they were so funny because of the name! My Mother loved them! I also love to look at the things in Cracker Barrels Store! The Rock candy was something I always liked! Really, our country needs to stop growing so much corn and start some sugar plantations. Out this way we now have POT farms, lets see Pot or corn syrup!?? What is this world coming tooooo? Hi Deborah, I don't believe I've ever had a moon pie. Your china is elegant. I really like it. Interesting post! Ooh Deborah, you brought back memories of Moon Pies for me. I remember getting them at the snack bar when I would go swimming at Mountainview Pool, in Greensburg, PA. I guess they weren't a southern treat! I do love your wedding china, and it is a classic. I think you're hubby is right! 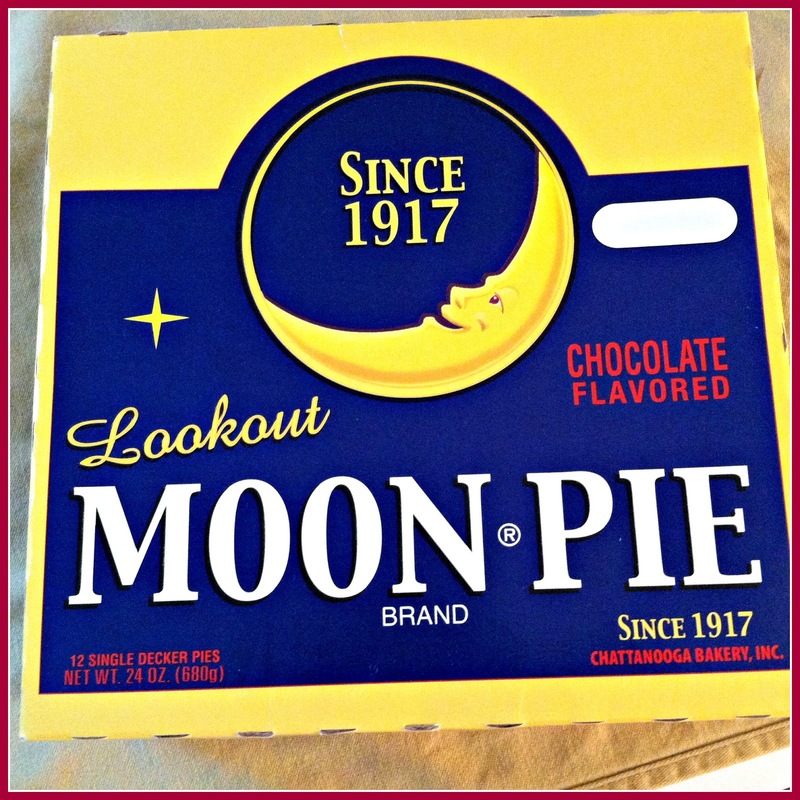 Thanks for the history of Moon Pies--it was a fun read! it made me want to share in dessert. I really like going to Cracker Barrel for dinner--I'll have to check out the candy next time I go. What a delicate china pattern Deborah. Very lovely post. I have never seen or had a Moon Pie. It looks very yummy. Your hubby has very good taste also. 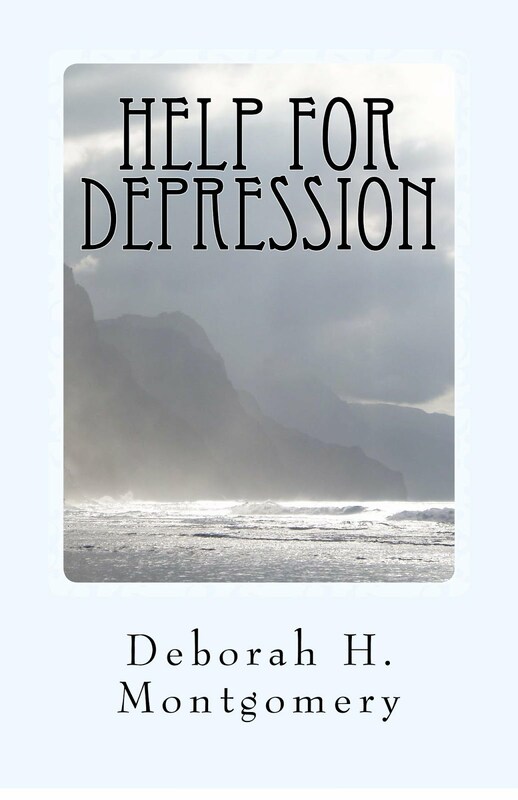 Hi Deborah, I enjoyed your post so much! 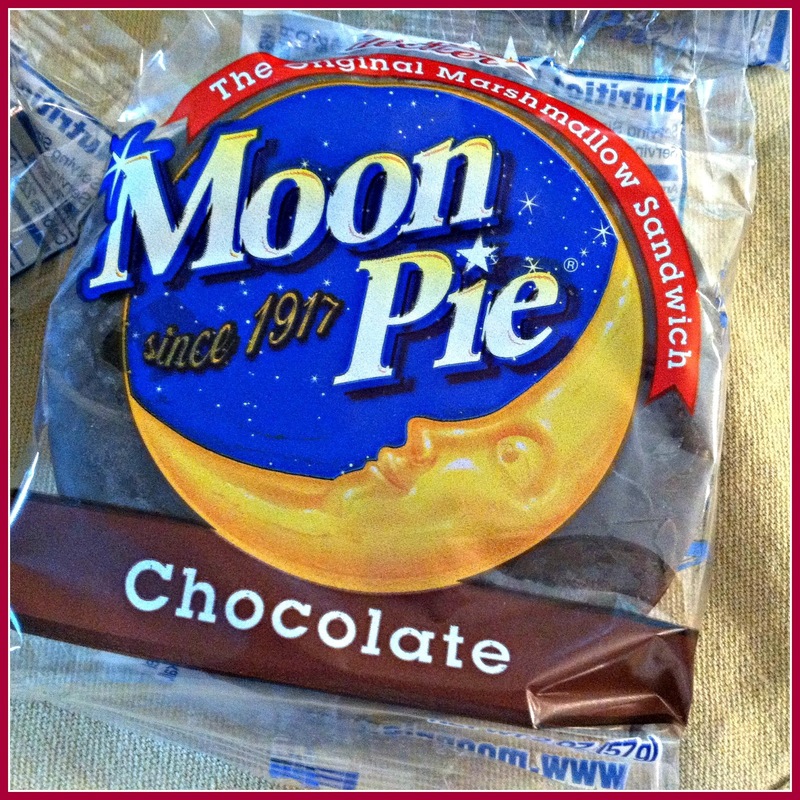 My hubby just brought home some moon pies for the grandkids he found at Tractor Supply! That was the first time we seen them in ages and the grandkids never had them before. Your china is beautiful, but I know what you mean about wanting something more colorful. That happened to me, too. We never had wedding china, but when hubby was in the service he found a catalog with china and ordered a set of 12 for us in white with a little circle of silver flowers on it. It was almost identical to his mom's china and when she downsized nobody wanted it so now I have a 24 piece setting of it! Oh well, I have lots of vintage pink and what china now, thanks to thrift shopping! I grew up in Virginia having Moon Pies. A coke (small bottle) was 5 cents and when it went up to 7 cents people were very unhappy! 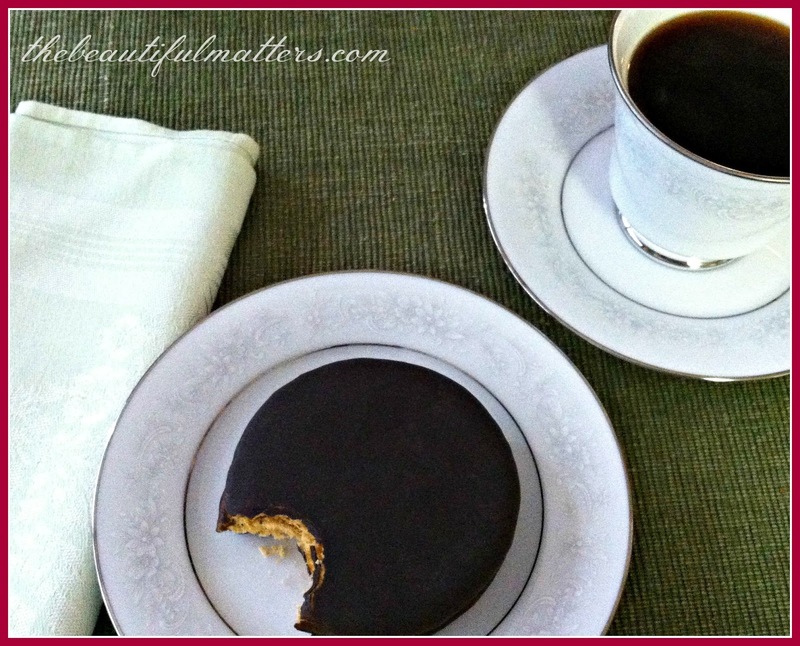 This is a fun post and so glad you shared at Tea In The Garden! We love Cracker Barrel! 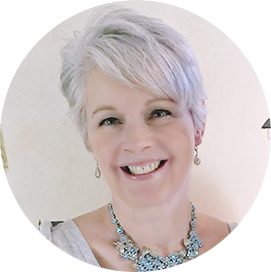 This is my first visit to this blog, and I have spent the past minutes enjoying this and other posts. I can't remember the last time I had a moon pie. I like them; I just never think to have one these days. Growing up in western Massachusetts, I don't remember them being on the menu at all, but I absolutely associate them with our first years living in Georgia. Believe it or not, I have never, not one time, had an RC cola. They originate from Georgia, too, I think. Sounds like a fun tradition. I think moon pies must be similar to a Scooter Pie, which we had out East. I like your china, and I the silver and white combo. Very pretty.